Welcome back to Academic Insights – where we interview distance learning experts to get their top tips for successful study. This time we meet distance learning tutor Michelle Lawson and hear her advice on ways to improve your academic writing. Is your academic writing alright? Michelle Lawson is a university distance learning tutor – so she's got plenty of advice for students who want to be better writers. To help you understand Michelle's video tips, take a look at these key words and phrases and their definitions in the Session Vocabulary box. What's the right way to get on with your academic writing? Michelle answers your top questions in 3 minutes. My name is Michelle Lawson and I work as a distance learning tutor for a university. Some assignments can be as short as one and a half thousand words, but they can go up to 3000 words in length. At the end of reading an essay, is when I've heard the student's individual voice throughout the essay, not just the voice of the material that they've read. A main problem with academic writing is actually structuring, so you've got a clear thread of argument throughout the essay. We have things like glossaries where they can look up particular terms and what they mean, so they don't have to learn them off by heart, but they need to be able to show that they're familiar with them, that they understand them, and to show that they can use them when they're constructing an argument. I don't think students should worry too much about making errors in grammar and punctuation and spelling, because that's just one of the marking criteria. The main thing is: we're looking for ideas. If we can understand it, then that's the main thing. I've marked some really good essays from non-native speakers of English where they've been able to show a really deep understanding of English globally, because they've come across English in global contexts themselves. I have to balance giving them lots of development points with still encouraging them and showing them actually what they have done well at the same time. Every university has its own website for helping with things like paragraphs and punctuation and structuring essays. So it's just a case of finding which site works for you. One first step would be to go to their local library and get a good study skills book out. A second step would be to go onto the internet and find a university academic writing website and there are many of those. But if they have specific queries about structuring or punctuation or grammar or something it would be logical to ask their distance learning tutor for help because were only too happy to help them. We hope you've picked up some good advice on how to complete your written academic assignments successfully. Let's recap the #9 things we've learned about good academic writing. 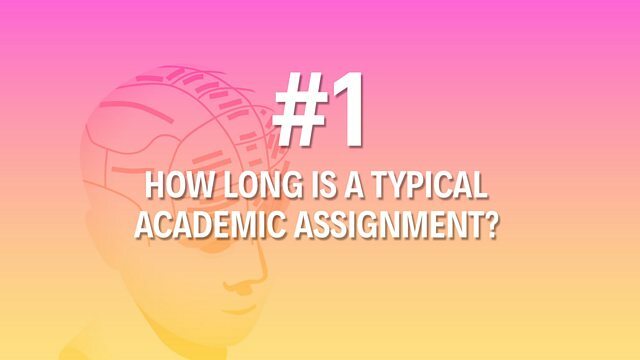 The typical length of written academic assignments can vary – they can be as short as 1500 words, or as long as 3000 words. Getting your individual voice across in your assignments is crucial for good academic writing – does your voice come through in your writing? The main problem students have with writing is structuring – so make sure there's a clear thread of argument throughout your essay. Make use of glossaries provided by your tutors to help with specialist vocabulary – you don't need to learn every word off by heart! Grammar, spelling and punctuation are just one aspect of writing – the most important thing for the marker is that your ideas are clear. If you're a non-native speaker of English make use of your extra language knowledge – an awareness of English in global contexts can be very useful. Pay attention to the feedback your tutors give about your writing – they'll give you tips how to improve as well as telling you what you've got right. Check your academic institution's website – they usually have their own websites with advice on writing and structuring essays. Go to the library to get a study skills book and check academic writing websites, but don't forget you can ask your tutors for advice as well. 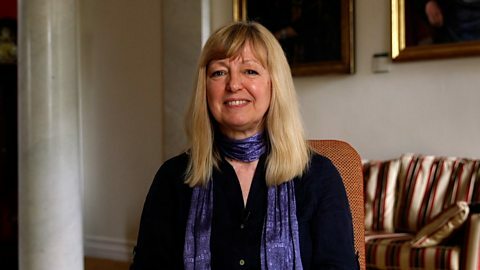 You can find out more about Michelle and how to improve your writing by visiting our partner The Open University. Click below to find out more.